Are you building a model from a kit, whose construction you wish to share with us? Let's watch those models grow! PLASTIC, WOOD, CARD or RC....it doesn't matter. 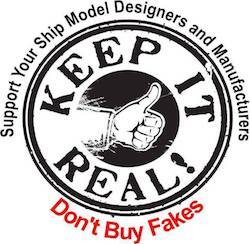 If you're building a model from scratch, whether it be a tall ship, PLASTIC, CARD, WOOD, or RC, here is where to post your progress. Build a POF model of the Medway Longboat (1742). The group is building a kit which will be fully rigged with an option to add sails.